I love it when Brands interact. This inter-brand banter illustrates quick thinking, brilliant understanding of buzz and great humour. 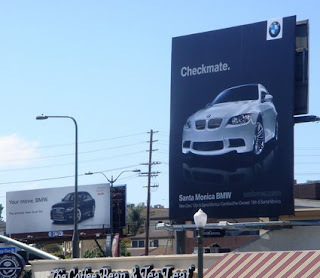 And sure enough, BMW responded with a larger billboard right across the road. brilliant. nice to think brands are firstly listening and secondly responsive.